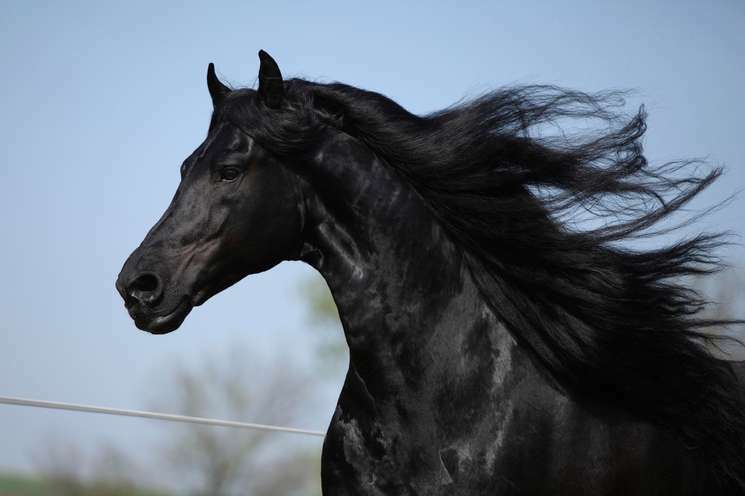 The animal zodiac sign of the Horse loves its freedom and is chivalrous and adventurous. It could be tamed. Represented hours of the horse: 11h a.m. - 2h p.m. The Horse is quite communicative and it should be mentioned in this place that the Horse is one of the amazing party people, who could celebrate with the perfect sense of humor and the talent to discover the mood to come along. This zodiac sign has many things to tell and it is exciting for everyone to listen to its stories. Based on its particular characteristics the Horse is good at making friendships. Solitude is not their business and it seems it probably won’t happen… The Horse is frank and friendly and is taken easily into somebody's heart. Although having many acquaintances the Horse is rather careful of making close friendship... For being lucky, it needs its flexibility and freedom all the time. The zodiac sign of the Horse likes to stay without obligation and deep friendship would seldom develop. But there is offered good advice: The Horse makes its own decision and finally draws its proper conclusions. And: their success shows it is always the wise move! Unconventional, passionate and flexible – their moves are wild and fascinating at all. In the end, they go their way – in general convincing. Born as a sign of the element of earth you may be intelligent and responsible – with regard to other signs you are more upholding traditions. Common sense is their measure – never allowing themselves being too risky and adventurous. They are most of all practical and logical, however, caused by these characteristics each enterprise would be flourishing. The special interest applies to the Fire Horse – other types of Horse are more relaxed. Earth Horses are thinking twice before they take new adventures – they are more decided and more able to organize and represent plans and projects than their horse companions. The Earth Horse could better create close relationship and make an engagement than its Horse companions. It is passionate, ambitious and fiercely competitive: The Fire Horse represents confidence and impatientness– bursting with strength. Innovative projects, renewals and improvements in general are set on the list. Defying all odds they are regrettably haunted by pure egoism and their predominating behaviour won’t be welcome. On professional level the Fire Horse dominates the upper floors of the managers and members of the executive boards. This type of Horse is most ardent and passionate. It doesn’t matter where and when: It’s a race Horse and is living fast. Their kind is of impetuous temperament – and they show it! There is a lot of admiration for all Horses and they enjoy it to the full. These kinds of persons prefer feeling the ground beneath their feet – close to their adequate element wood. The Wood Horse endeavours a maximum certitude in life. They collect material and non-material goods by maintaining of ethic and attitude to morality. The Chinese zodiac animal sign of the Wood Horse is open-minded towards development and improvement. It brings up projects and ideas with persuasion and assertiveness towards lucrative sustainability. The Wood Horse is more interested in renewals and more progressive and open-minded as other types of Horses. The Wood Horse actually likes it to bring up projects and is preparing some ideas and things to explore… The Wood Horse is more reasonable and wiser, if you would consider this, as the other types of Horses – less led by the sense of emotion. It represents a good team player and is less a lone fighter. Sometimes they are not free from exaggerated reactions, which based on their marked interest towards their companions. The Water Horse is more flexible than its Horse companions. Whatever would happen… they want to take it. They are not so much goal-oriented when they carry out their plans and tend to be distracted. Water Horses are actually open-minded, optimistic – and sometimes they show inconsistent. The Metal horse is strong, firm and high principled. It is controlled when other are upset – keeps calm within challenging situations. Obstinate and with ambition - the Metal Horse follows its imagination and is equally goal orientated. Metal Horses are strong-minded and remain loyal to the party line. Metal Horses have more stamina than their Horse companions and they may complete their projects -And they may get succeed, but they are more obstinate as well... You cannot help them and giving them more advice – matching the taming of the shrew The Horse needs new challenges.